The International Building Code 2015 (IBC-2015) has adopted SDI C-2011 allowing the use of steel fibers in place of welded wire fabric to control temperature and shrinkage cracking in composite metal deck applications. The fact that IBC 2015 now recognizes and approves the utilization of steel fibers as a commonly accepted standard for steel decks, designers can now specify steel fiber without hesitation or the previously required Engineer’s approval. Project costs will also be minimized since steel fibers are the most cost effective and efficient approach designers can take. 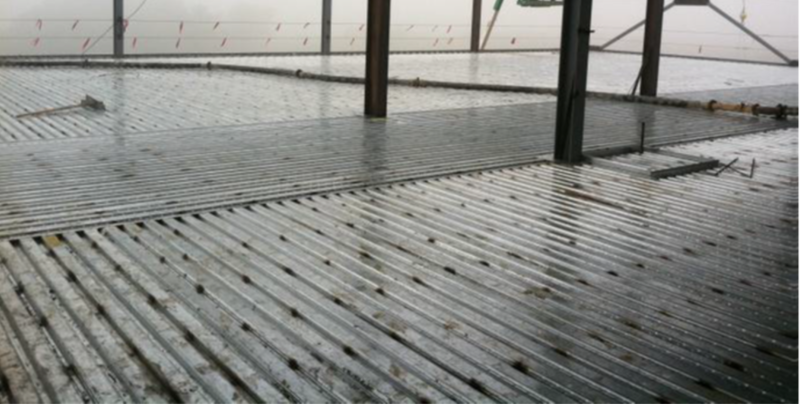 Save time and money by using CFS 150-5 steel fibers in your next composite steel deck project. Nothing provides better shrinkage crack control than steel fibers. 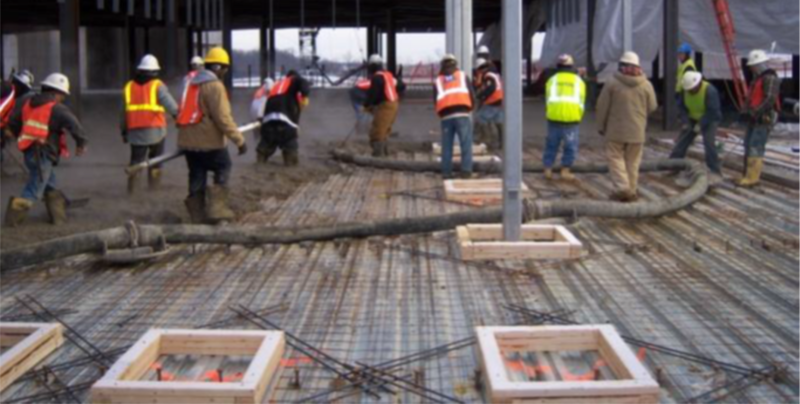 Because the fibers are evenly mixed throughout the concrete since they eliminate the time and expense of placing mesh and eliminate the possibility of flaws due to improper positioning of the mesh. Download the Composite Steel Deck Application Guide (PDF) and see what makes CFS 150-5 a superior solution for composite steel deck applications. With no mesh to position you can shave days and dollars out of your production schedule. This floor is ready to pour. One of the leading tripping hazards on deck is the mesh. This is completely eliminated with the use of steel fibers reducing potential injuries and insurance claims for the concrete contractor and all the trades working on the project. 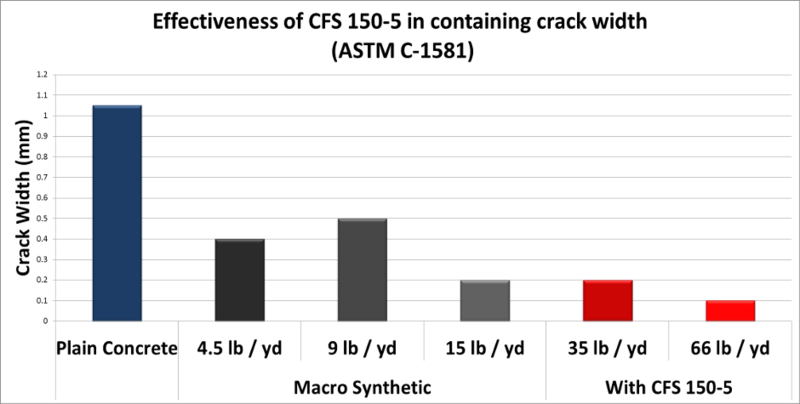 Compared to macro synthetic fibers CFS 150-5 fibers provide superior crack control.